How Do I Claim and Sell Bitcoin Cloud (BCL)? Bitcoin Cloud (BCL) appears to have a functioning network for transactions, unfortunately, bitcoin_fork_claimer does not currently support it. That leaves you with some not-particularly great options which may be risky to your private keys. We cannot recommend you take risks with your private keys without understanding the specifics of your situation. We recommend first draining all other easier-to-claim value for your private keys before attempting to claim this one. At that point, the best option may be to expose your keys to the official wallet software provided by the project. This software is almost certainly not up to the standards of quality of the best in the Bitcoin (BTC) ecosystem and the best other security-focused software, which is why we do not deem it an acceptable solution. Claiming Bitcoin Cloud (BCL) coins requires some work, and there's no one solution as it depends on how you are currently holding on to your BTC and what hardware/software you have access to. To help pick the right path we've broken the process down in to a number of possible methods. Once you've moved the forked coins into a wallet you control we then provide you with a number of possible options depending on what you want to do with them. Along with each method we also outline the technical difficultly level, privacy/security protection and our recommendation level. Read through each to find which is the most recommended option for you to use. 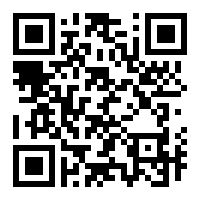 Bitcoin Cloud (BCL) provides a wallet that can be located via their project page. Individual projects do not develop software in a way that is as reliable and trustworthy as the top-tier Bitcoin (BTC) wallet software. Also, there is a conflict of interest by trusting software that is not shipped and reviewed by an independent party who has no financial stake in a project. Due to the number and variety of cryptocurrency projects, very few get any code review, and being 'open source' is far from a guarantee that there is nothing malicious or mistaken in this code. Please read over the following section which cover some of the nuances of moving Bitcoin Cloud (BCL) using the different address types. At present, it is unknown as to whether the Bitcoin Cloud (BCL) blockchain is able to redeem value credited to Segwit addresses. If you are aware of a reliable method, please let us know so we can update this guide. At present, it is unknown as to whether the Bitcoin Cloud (BCL) blockchain is able to redeem value credited to bech32 addresses. If you are aware of a reliable method, please let us know so we can update this guide. The bitcoin_fork_claimer tool does not have support for outputs which are encumbered with script conditions. These Bitcoin addresses start with 3 with the exception of Segwit address, which start with 3 as well. If you have coins held on one of these address through the fork or airdrop point, you will need to do some research and investigate other methods for redeeming this value. A likely viable solution is to use the official Bitcoin Cloud (BCL) software from the project, however that requires trusting the development team and release process of the project. This is something that we cannot make a blanket recommendation for, so please proceed with caution. If you want to part with your Bitcoin Cloud (BCL) then we offer some options for how to trade it along with some considerations for privacy. On the page for Bitcoin Cloud (BCL) we track exchanges that allow depositing and trading of the coin and provide attributes for comparison in our directory. Right now, we are aware of 0 exchanges that take deposit and trade Bitcoin Cloud (BCL). For claiming without revealing your identity, you can find non-KYC exchanges which are tracked in our directory. 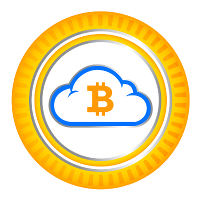 The exchanges for Bitcoin Cloud (BCL) are listed at our page for Bitcoin Cloud (BCL). At the moment, we are aware of 0 that do not require KYC documentation and verification. This will require some effort on your part to find one you deem trustworthy enough to trade with, however brokers exist that are willing to buy just about any coin that can be transacted.